The one thing that I hear the most from new real estate agents is that they don’t know any creative ideas to find their first seller client. It seems like finding buyer clients is relatively easy and that many agents are intimidated by having to find listing clients. 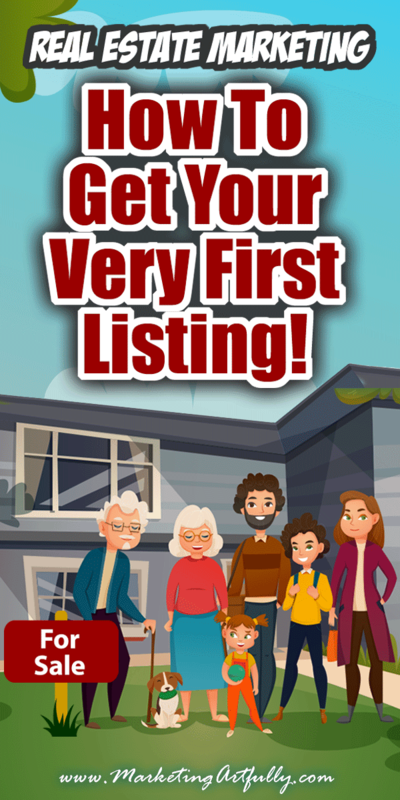 Here are 10 solid ways to find listings! 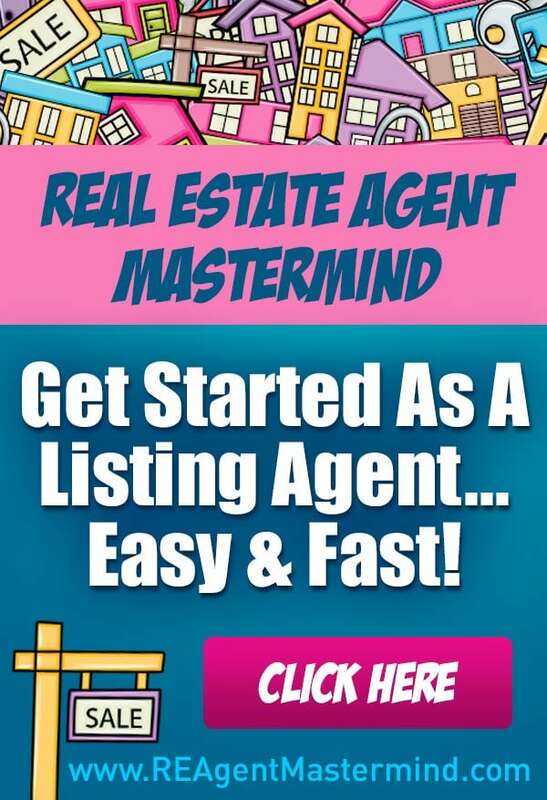 How Do Sellers Pick A Listing Agent? There is an old saying that “buyers buy houses and sellers buy marketing” that I think is really true! Your potential listing only wants two things, to sell fast for the most money possible. To do this, oftentimes, they think that a Realtor with a high profile can help! But what if you don’t have any listings to show off yet? You can do a brochure on Vistaprint that highlights your unique skills! I did this super early on in my practice. You can order just the minimum and having that wee little paper gave me the confidence to approach sellers! Borrow listings from your office mates. There are definitely people around you who have listings who would love to have open houses, amazing pictures or free promotions. Borrow listings to use in your marketing that target the same types of sellers that you would like to work with long term! Research, research, research. The last thing you want to do at a listing presentation is say over and over again, “I don’t know that, let me get back to you”. Instead you want to spend A LOT of time researching your neighborhoods, finding out about the market, knowing stats like DOM (days on market), absorption rate and percentage of list. Now, you don’t have to memorize any of these things, but you should have a sound foundation for what is going in your whole area and then the neighborhood of your first listing appointment. I KNOW, you want to get to the “how do I get my first listing” part of this post, but please, hear me out! 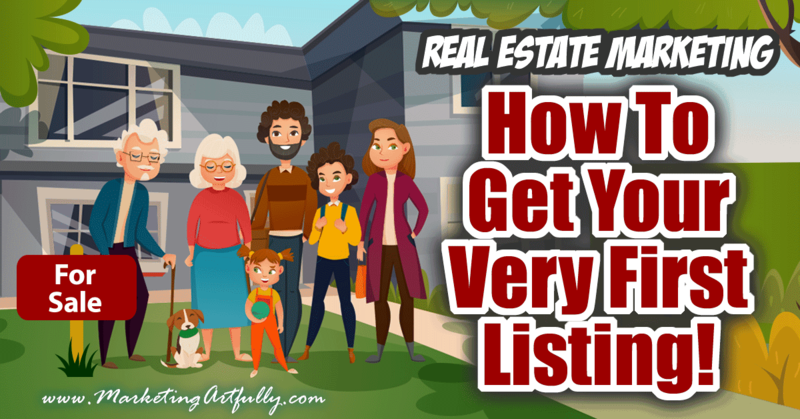 Once you start doing some of the marketing that I am going to suggest in this post you will start to get leads for listings and the saddest thing in the world would be to let them all go to waste. 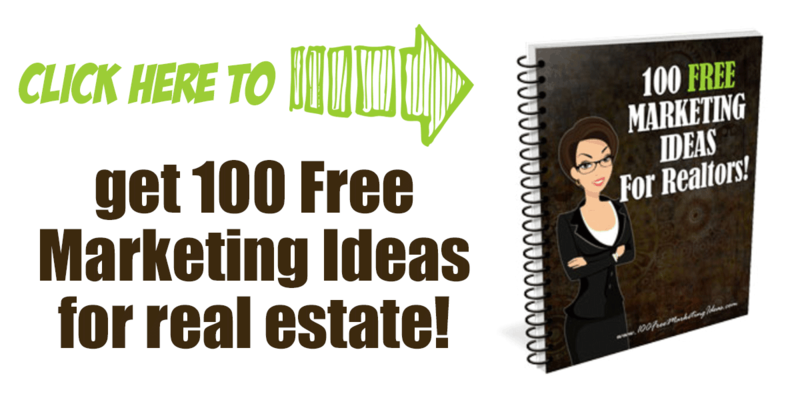 Your very first job as a real estate agent is to get 5 people a day into your database! This is what will help you have leads to followup down the line. I recommend MailChimp for this as they have a free version for when you are just getting started and loads of training for new users. So who are these people you will be adding? That comes below! Once you have people in your database, you want to start emailing them at least once a week. This does not have to be crazy awkward, you can just do a little message about a new listing that came on the market, a household tip or even a recipe if that is how you roll! The biggest problem I see with people’s list is that they think they need to wait until they have “enough” people to message or that they are afraid of “bothering” them. You need to message them weekly right off the bat with something super interesting so they know that you are going to be actively talking to them. Some people do this automatically by having a “drip marketing” campaign which is just a series of emails that goes out once your person signs up. DO NOT make this so hard that you never do it, it can be as simple as explaining parts of the real estate process to first time seller prospects or fun facts about your town or city. I don’t expect that all of these will appeal to you. Pick one or two to focus on and then get to work! I am so excited to tell you that I passed my real estate test and got my license! I am trying to build up my list of people who might refer me clients and I would love to add your name to my list. Do you mind? I will only send you amazing info and would SOOOO appreciate your help! Was it scary at first, maybe a wee bit, but no one was mean, some said no and many said yes. I asked EVERYONE I came into contact with, my dentist, doctor, neighbors, friends, friends of friends, manicurist, EVERYONE! This was a super fun way to get lots of people on my list all at once! I sent my husband into work with a form to fill out with anyone there who would let me email them and promised to send in some cool stuff. I got about 63 signups (first name, last name, email address). Then I sent Johnny into work with a box of “popbys”. Little gifts that had a tag on them saying stupid things like “fangs for thinking of me when you sell your house” at Halloween and “here’s hopping you will work with me” at Easter. These were tiny little bags of goodies like candy, dollar store gizmos and even seeds or little handmade soaps. The first time I sent him in he was MORTIFIED… until all the girls at work thought he was cool for bringing them presents and from then on he was fine with it all! I wasn’t much of a FSBO gal, didn’t want to argue about the validity of Realtors, but I did love expired listings! Those people have raised their hand and said they will work with a real estate agent, but were unsuccessful with the one they used the first time. When I was an agent I had a pretty neat website and approached FSBOs about putting a “listing” on it, negotiating that they would pay me a buyers commission if I found a buyer. I would go over, interview them and take some pictures that I could upload. First off, as a new agent this let me have “listings” on flyers and postcards I sent and second off, it was actually prospecting those FSBOs who came over. I listed two of them without much trouble, but didn’t enjoy the fairly acrimonious relationship they have with real estate agents. When you are calling or mailing to expireds it is worth taking a few minutes to review their failed listing. See if you can see what went wrong. Could be that the pictures weren’t great, the description was horrible or that they were simply overpriced. We had a postcard campaign to send to expireds, but you could definitely drop them a personal note with your business card and ask for an appointment. Or, if you can find a phone number, give them a call and ask to come over and talk. Remember, lots of agents will be contacting them, having a bit of insight into THEIR home and why it didn’t sell will go a long way! Most agents are not super techy or internet oriented, but if you are then run with it! I had a site called “Come To Clearwater” that I used to prospect for buyer leads with relocation guides and where I put an enhanced version of my listings to impress the sellers. 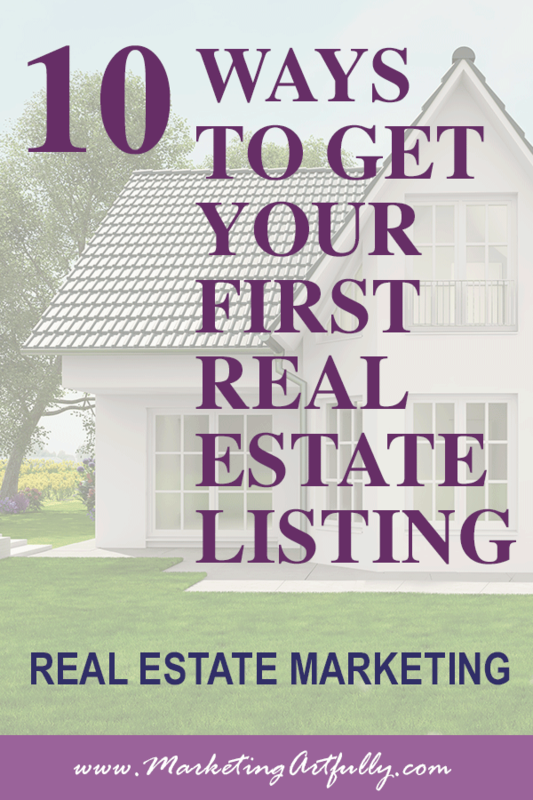 Make sure that you have an email popup on your site and try to get sellers on your list by giving them free guides like, “10 Things To Do BEFORE You List Your Home To Sell” and “Why Overpricing Your Home Can Cost You In The End”. Don’t fret if you get leads outside your area, refer those out for a 25% commission and make sure to followup with the referring agents. 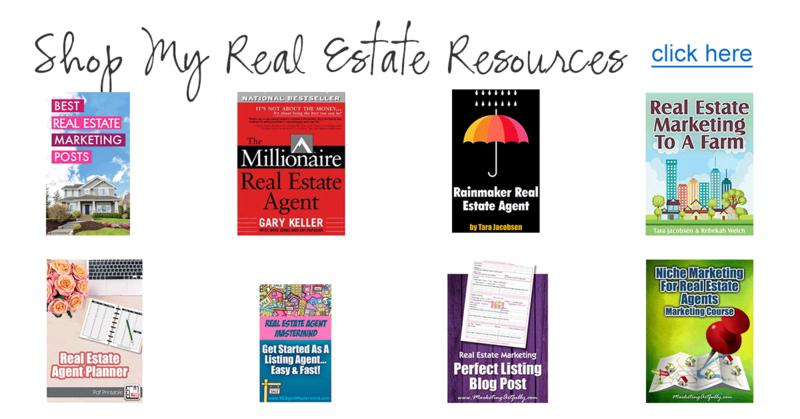 You will need to get good at Real Estate SEO if you are going to be internet based! I honestly believe that open houses are the easiest way to get listing leads. I always did mine during “Drive Time” – Monday through Thursday from 4-6. If someone stops at your open house after working all day and before getting dinner on the table they are doing some kind of real estate in the near future. AND open houses are usually staffed by buyers agents who are mad that the “nosy neighbors” are coming by… what?!?! Those nosy neighbors are actually listing appointments. Talk up the house you are in, let them know you researched the neighborhood and offer to swing by and let them know what the market is doing in their neighborhood! They will tell you that they are not selling for a couple of years, just let them know that there are probably things they should and shouldn’t do, and then cut that time in half in your lead book! They are selling in under a year with or without you! Keep in touch with these hot listing leads. I think that this is one of the most effective new marketing channels we have seen in some time. Going “Live” from an open house, while previewing a listing or even just highlighting an area is a way to generate interest from potential sellers (and buyers). Functionally, popping open your phone once a day and basically saying what you are up to real estate-wise is a great way to get exposure for your business. The reason it is so effective right now that Facebook and Instagram will notify your followers when you are live and promote recording a fair amount after it ends. This is much more effective than just posting randomly on social media. This may be the future of marketing! People rarely have time to read a 3,000 word blog post or even a quick email message, but they are using YouTube to find out about goods and services in their area. As a listing agent you can stake a claim to any neighborhood you like, simply by taking neighborhood videos of the gate, the amenities, sample houses, etc. You can also become a recognized expert in your town or area easily by taking people on “tour” videos and talking about what is interesting about your neighborhood! It pays to learn a wee bit about YouTube SEO, but it is much less complicated than website SEO so is relatively easy to master. Now that we have hit some “hip, new” marketing ideas, let’s go back old school. Sitting down, belly to belly, is going to be a great way to find listing leads. That said, you want to be very targeted in who you are networking with! Here are a few people that could help your listings get off the ground fast. People who work for sellers – Think handymen, landscapers, painters, etc. who are the first to know when some one starts to “spruce” their house up to get ready to sell. Connectors – For “normal” people, focus on the friendly ones! For example, I share all the time on social media and refer people often. My husband on the other hand NEVER refers anyone out so he wouldn’t be a great source to try to mine. Most people are not great at selling so you need to make sure to make it super easy for friends and family to refer you out. I recommend using business cards with your picture or logo on the front and then a “referred by” line on the back. You can give 5 of them to your best clients and let them know when you get a referral from them you will send out a special gift (a $5-15 Starbucks card is fine). Don’t worry about whether you get a client or not, reward them every time they recommend someone to you! This causes a nice feeling in them because they helped you and you thanked them. They will want to do that again and again! Bonus points – if you are sending out a newsletter, make sure to put a “Referral Friends” section in there and call out everyone who sent you a referral that month. Peer pressure will kick in! I am not a huge “talk to random people” marketer, but door knocking in your farming neighborhood is a great idea! You can get to know potential clients, ask them if they would like monthly updates and generally make friends with the homeowners. That said, I do think you should have something to give them. I feel the best is a sheet with a list of local trades people, the schools and emergency numbers AND your contact information in case they need a great real estate agent in the future! Bonus points – Do it on colored paper and laminate it! Laminating something increases it’s value so much that they will probably not throw it away! If you are just getting started as an agent or moving over to listings from buyers, finding listing clients can be intimidating. BUT, if you spend time every day prospecting for listings it really is attainable. Through marketing to farms, networking with agents and open houses, I went from 0 listings to 52 in a little less than two years. It is totally possible and I know you can do it! Previous Post: « Should You Try To Rank In Google SEO For Your Etsy Store or Products?